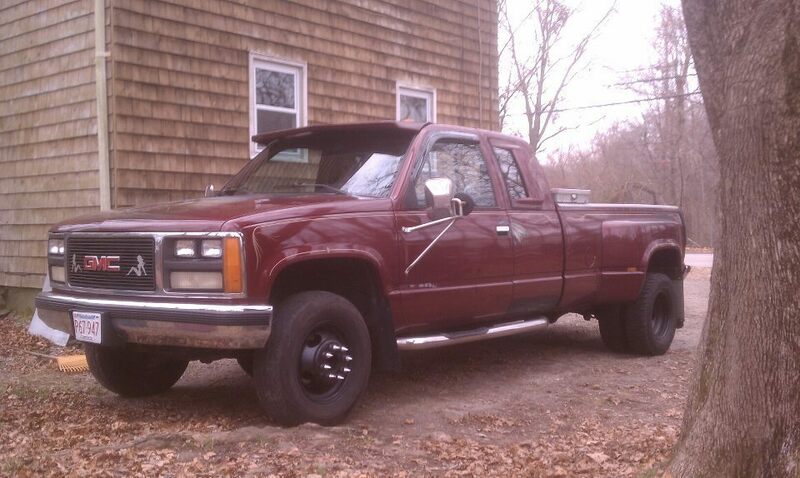 Maroon with custom paint. 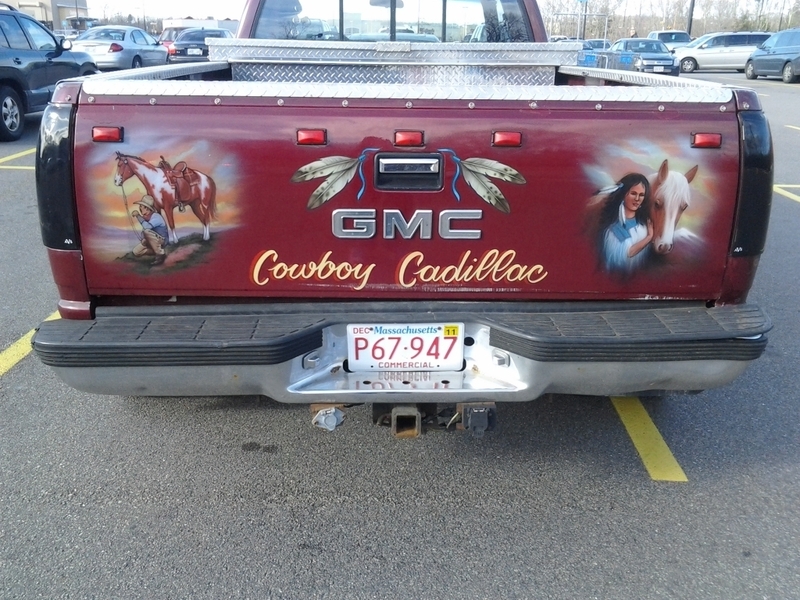 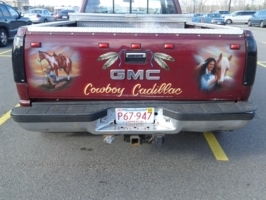 There is a cowboy and horse airbrushed on the hood, tailgate has a cowboy and native american woman and has &quot;Cowboy Cadillac&quot; painted across it. Would like to paint the whole truck flat black, tint the windows, get a cowl hood. 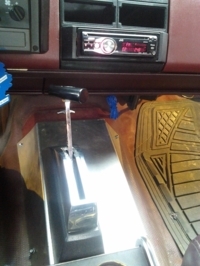 Maybe a 454.....And no I will not be &quot;slamming it to the ground&quot;.